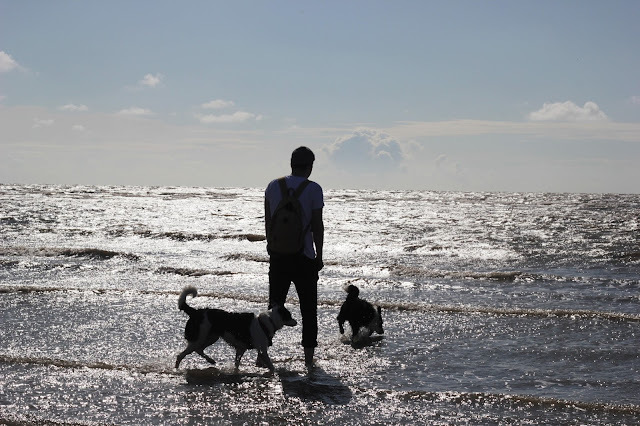 Beach Day With The border Collies! The one thing in my life that makes me super happy and relaxed is the seaside. I love the fresh air and the sand under my feet. Two weeks ago now we decided to head over to Southport for the afternoon to spend some quality time together with the dogs. We both lead hectic work lives that we enjoy but having some down time with just us and the dogs is perfect. Our dogs Juniper and Bella really enjoyed themselves and you can tell by their cheeky grins. This is my puppy Juniper she is now 8 months old and she makes us smile every single day. 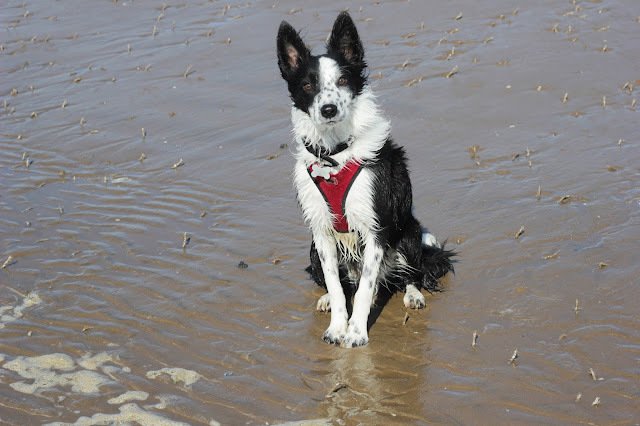 She was so well behaved on the beach playing with her sister Bella, this was the first time on the beach. I love to document some lifestyle posts so that I can keep some memories on here and share with you my life. This is a photograph that I want to print, she just looks so gorgeous and I love her so much. This is my boyfriend Rob, he makes me smile all the time. We had the best day out in a long time with our dogs. I love Summer days like this, nothing beats it, the smell of fresh air and being able to walk in the sea. We headed back to my moms house to say a quick hello and decided to nip to the local ice cream parlor. It was a beautiful day at the beach, the perfect weather and the tide was going out. Bella ended up with so much sand on her nose, I had to take some pictures of this. The sea is one place Bella really enjoys and she got to play with her sister for the first time here. We need to go back before it hits Autumn.